As you know there are many different types of home heating systems out there. But, one of the most loved has got to be the boiler. And, at Prescription Heating & Cooling, one of our specialties is in boilers. White Bear Lake area residents trust us for reliable, trustworthy service for all of their heating and HVAC needs, including boilers, heating system repairs, air conditioner installation and more. Boilers, depending on their age and efficiency can be a simple or complicated systems to install or repair. And, proper maintenance and installation requires a thorough understanding of a home’s water distribution system. That’s where Prescription Heating & Cooling comes in. An experienced technician can conduct a complete analysis of your home and distribution system, which will provide you the information you need to make the best choice for your home. From pump replacement to electrical components and boiler replacement, we have got you covered! We can even provide you with a high efficiency boiler for your home! Give us a call and we can tell you all about boilers and all of the other heating and cooling services we offer. Our expertly trained technicians are ready to tackle your new home heating installation, call today for a free estimate! 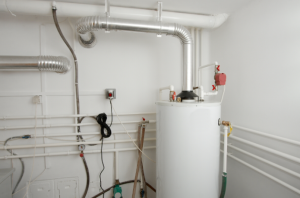 In short, boilers provide radiant heat, which warms objects in a room. In contrast, a forced air furnace warms the air in a room. Some people prefer boilers because they can set their thermostat at a lower temperature and the radiant heat makes the room feel warmer than what the thermostat might read. Boilers provide many benefits and can be a wonderful way to heat your home. Allow us to tell you more about them and help you decide if boilers are the right fit for you. And, if you already have a boiler and it is in need of repair, we can provide that as well! We do not only offer boiler repair and installation services, but also inspections and maintenance contracts. We will come to your home on a yearly basis to inspect your heat pumps, boilers and the entire HVAC system to ensure all is working as it should be, cleaning and adjusting all of the parts and components as well. Call us today to sign up for our maintenance contracts or to get on our boilers repair and installation schedule. Are you interested in learning more about boilers in White Bear Lake or throughout the surrounding area? Call Prescription Heat pumps & Cooling at 651-767-2737, or you can contact us and get a Free Estimate on a New Installation.